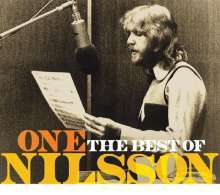 Der Artikel Harry Nilsson: One: The Best Of Nilsson wurde in den Warenkorb gelegt. Harry Nilsson was one of the great pop / rock mavericks. Unusual insofar as his music was inextricably linked to the recording studio – he never performed live professionally – yet he managed to sustain a relatively lengthy recording career that embraced huge commercial success, resulting in him being a double Grammy Award winner. Two CDs of pop, rock and country classics from the American singer / songwriter. Includes the two cover versions made famous by Nilsson worldwide; ‘Without You’ and ‘Everybody’s Talkin’’. Hörprobe Track 14: Are you sleeping?